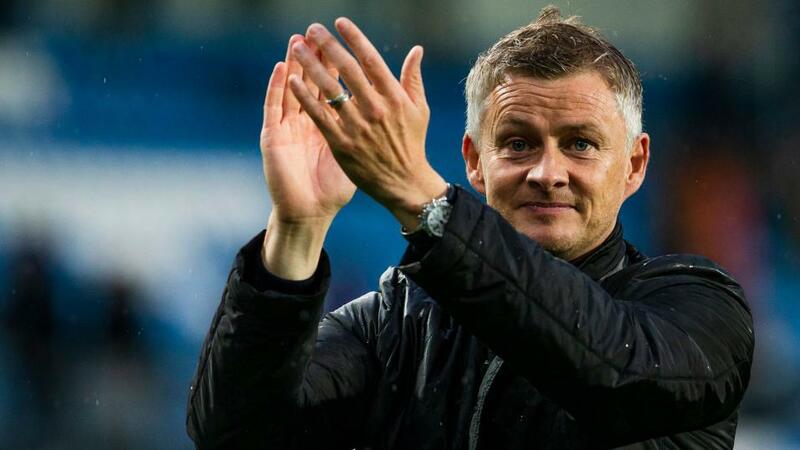 Will Ole Gunnar Solkskjaer be applauding his Manchester United side after their match with Liverpool? It's a clash of the titans with much at stake, as Manchester United take on Liverpool. Opta presents the tale of the tape. "Manchester United have kept just one clean sheet in their 12 Premier League games at Old Trafford this season, only Fulham have kept as few in home games (1). Meanwhile, Liverpool are one of three sides to have scored in every away league game coming into this round of matches (along with Spurs and Man Utd)." Both teams to score is [1.67]. Manchester United have won seven of their last nine home league games against Liverpool, losing 0-3 in March 2014 and drawing 1-1 in January 2017. The home side are [3.25] to win. Liverpool won the reverse fixture 3-1 and are looking to do the league double over Manchester United for the first time since 2013-14. They're already the side to do the Premier League double over the Red Devils more than any other in the competition (4). Liverpool are [2.38] to claim victory. Only Manchester City and Chelsea (6 each) have won more Premier League away games against Manchester United than Liverpool (5). The visitors are [1.71] Draw No Bet. Manchester United are on the longest current unbeaten run in the Premier League (W8 D1), and their longest run without defeat in the competition since October 2017 (10 games). The draw is [3.6]. Manchester United have kept just one clean sheet in their 12 Premier League games at Old Trafford this season, only Fulham have kept as few in home games (1). Meanwhile, Liverpool are one of three sides to have scored in every away league game coming into this round of matches (along with Spurs and Man Utd). Both teams to score is [1.67]. Liverpool have lost just one of their last 13 Premier League away games (W9 D3). The draw half-time/Liverpool full-time double result is [6.0]. Ole Gunnar Solskjaer has won 25 points in his nine Premier League games as Man Utd manager. Victory or a draw in this match would see him set a new record points total for a manager in their first 10 games in charge of a Premier League side (currently 25 by Guus Hiddink at Chelsea). Manchester United are [1.68] to avoid defeat in the Double Chance market. Sadio Mane and Xherdan Shaqiri scored Liverpool's goals in the reverse fixture against Manchester United. The last Liverpool player to score home and away against the Red Devils in the same Premier League season was Fernando Torres in 2009-10. Mane is [3.2] to score. Manchester United keeper David De Gea has kept 99 clean sheets in the Premier League. He could become the 15th different keeper to record 100 shutouts in the competition, and just the seventh to do so with a single club. Manchester United are [6.0] to win to nil. Mohamed Salah has scored 49 Premier League goals for Liverpool. If he scores in this game, he'd have reached his 50 in just 63 games, making him the fastest player to reach the milestone for a single club. Salah is [2.5] to find the net. Paul Pogba has scored eight goals and assisted a further five in his last nine Premier League games, with Newcastle being the only game he's not scored or assisted in that run. Pogba is [3.6] to score.